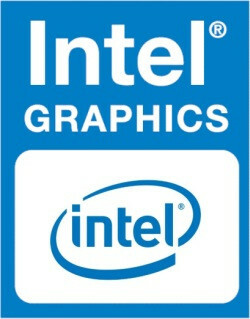 The Intel HD Graphics 620 (GT2) is an integrated graphics unit, which can be found in various ULV (Ultra Low Voltage) processors of the Kaby Lake generation. This "GT2" version of the Kaby Lake GPU is clocked at up to 1050 MHz (depending on the CPU model). Due to its lack of dedicated graphics memory or eDRAM cache, the HD 620 has to access the main memory (2x 64bit DDR3/DDR4). The exact performance of the HD Graphics 620 depends on various factors like L3 cache size, memory configuration (DDR3/DDR4) and maximum clock rate of the specific model but is very similar to the old HD Graphics 520 GPU. That means only some less demanding recent games like Farming Simulator 17 run fluently in low detail settings (see below for gaming benchmarks). Compared to dedicated graphics cards, the HD620 should be positioned between a GeForce 910M and 920M from Nvidia. For games, the drivers however are not that fast updated and tested as with GeForce graphics cards. The HD Graphics 620 can be found in mobile processors specified at 15 W TDP and is therefore suited for compact laptops and ultrabooks.